Take your cocktails on the road with these travel cocktail kits and accessories! 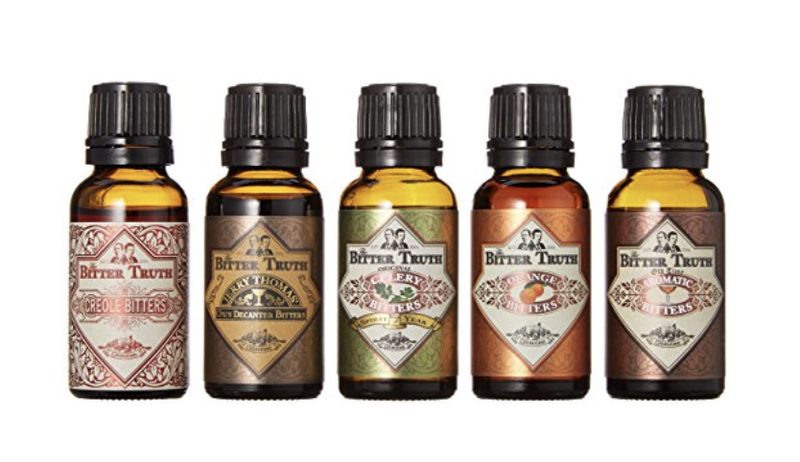 Make it better with bitters with The Bitter Truth Traveler's Set. You get five flavors: orange, celery, creole, old time aromatic, Jerry Thomas' Own Decanter in 20 ounce size, making them carry on approved! We don't condone sneaking alcohol anywhere it's not permitted. That said should you for any reason need to bring your alcohol, ahem, not in its original bottle this Camoflask has got you covered! Glass is a no-no on the beach or poolside (no one wants a shard of broken glass to ruin their beach pedicure, know what I mean?) so pack these pretty pastel silicone stemless wine glasses to gussy up your favorite beverage. Way cuter than a red Solo cup! Keep your whiskey safe in this Whiskeysafe! This sturdy travel case is perfect for protecting your favorite bottle, two glasses, whiskey stones, mixers, and more while you're on the road! Bonus points for the James Bond vibe! Take your Old Fashioned on the road with this tiny travel cocktail kit that features everything by the bourbon and the glass! Pack a liquid lunch for two with this travel martini set. Just add alcohol – and olives –and follow one of the recipes on the inside of the lid for a little mid-day tipple!